Cardenolide fingerprint of monarch butterflies reared on common milkweed,Asclepias syriaca L.
Monarch butterfly,Danaus plexippus (L.), larvae were collected during August 1983 from the common milkweed,Asclepias syriaca L., across its extensive North American range from North Dakota, east to Vermont, and south to Virginia. This confirms that the late summer distribution of breeding monarchs in eastern North America coincides with the range of this extremely abundant milkweed resource. Plant cardenolide concentrations, assayed by spectrophotometry in 158 samples from 27 collection sites, were biased towards plants with low cardenolide, and ranged from 4 to 229 μg/ 0.1 g dry weight, with a mean of 50 μg/0.1 g. Monarch larvae reared on these plants stored cardenolides logarithmically, and produced 158 adults with a normally distributed concentration range from 0 to 792 μg/0. l g dry butterfly, with a mean of 234 μg/0.1 g. Thus butterflies increased the mean plant cardenolide concentration by 4.7. The eastern plants and their resultant butterflies had higher cardenolide concentrations than those from the west, and in some areas monarchs sequestered more cardenolide from equivalent plants. 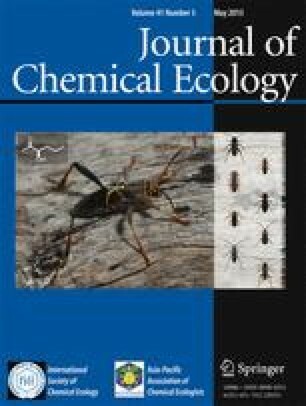 Plants growing in small patches had higher cardenolide concentrations than those in larger patches, but this did not influence butterfly concentration. However, younger plants and those at habitat edges had higher cardenolide concentrations than either older, shaded, or open habitat plants, and this did influence butterfly storage. There were no apparent topographical differences reflected in the cardenolides of plants and butterflies. Twenty-eight cardenolides were recognized by thin-layer chromatography, with 27 in plants and 21 in butterflies. Butterflies stored cardenolides within the more polar 46% of the plantRd range, these being sequestered in higher relative concentrations than they occurred in the plants. By comparison with published TLC cardenolide mobilities, spots 3, 4, 9, 16, 24 or 25, 26, and 27, may be the cardenolides syrioside, uzarin, syriobioside, syriogenin, uzarigenin, labriformidin, and labriformin, respectively. Cochromatography with cardenolide standards indicated that desglucosyrioside did not occur in the plants but did occur in 70% of the butterflies, and aspecioside was in 99% of the plants and 100% of the butterflies. The polar aspecioside was the single most concentrated and diagnostic cardenolide in both plants and butterflies. ButterflyRd values were dependent on those of the plant, and both showed remarkable uniformity over the range of areas sampled. Thus contrary to previous reports,A. syriaca has a biogeographically consistent cardenolide fingerprint pattern. The ecological implications of this for understanding the monarch's annual migration cycle are significant.